Aldeburgh Carnival Weekend was glorious and lots of people made the most of the wonderful weather and the many activities that were taking place around the town. 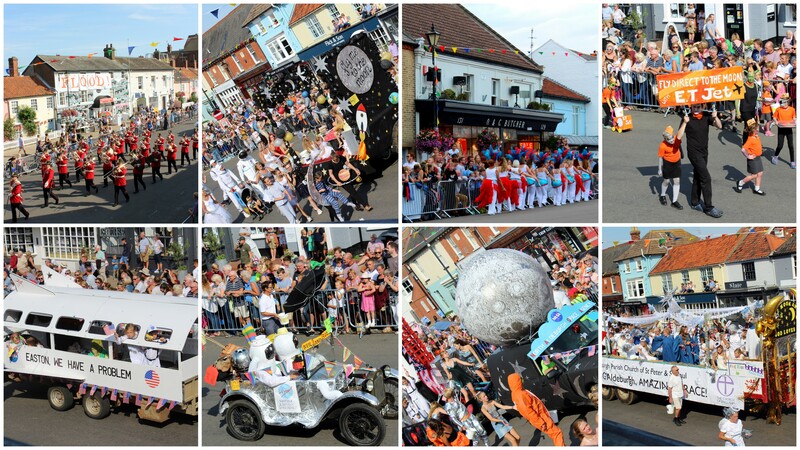 A huge well done to everyone involved in making it such a success and to everyone who made such an effort to decorate houses, shops and floats – the town looked amazing. We were very lucky to have a bird’s eye view of the ‘Fly me to the Moon’ parade on Monday. Here are a few favourite photos but there are lots more over on our Facebook page.